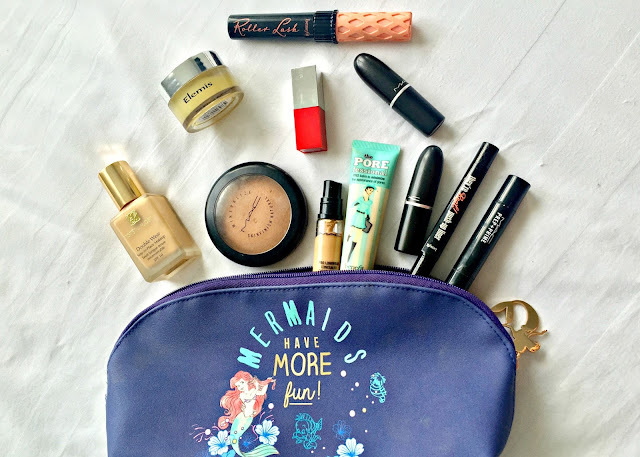 I put my hands up, when it came to packing my makeup for a holiday I had issues, serious issues. 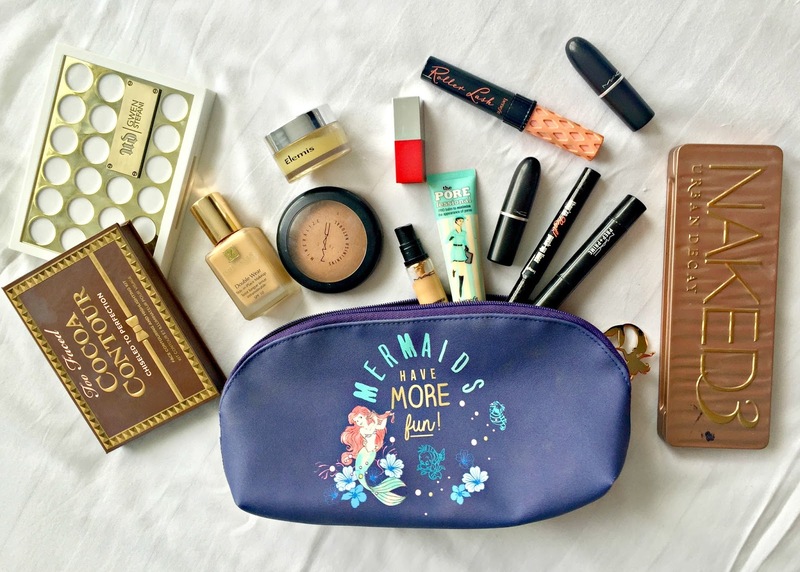 I was unable to cut my makeup bag down to just one bag, just a fraction of my makeup collection, I felt like I needed to take nearly all of it because I never knew what eyeshadow I'd need from the 150+, which of my 40+ lipsticks I'd want to wear and so on, honestly I had terrible issues and found it harder narrowing down my makeup to take than I did my clothes. Thankfully over time and gaining sense the past few years I've got much better, a LOT better in fact and now I think I deserve a pat on the back for just how well I do. I have however found something that really helps me and that's palettes, eyeshadow, blush & face ones. Having a choice of colours to use in something thats so easy to travel with means I can pack a couple of each and thats a big section of makeup sorted, now my biggest issue is which foundation(s) I take from the collection of about 20, and honestly unless I'm going away for just a weekend then you'll probably find about 3 in my makeup travel bag because obviously I need a day one, an evening one and then also a darker shade for when my tan progresses. Instead of packing a couple too many eyeshadow palettes I just decided to have a think about the makeup I wanted to do while I was gone and decided eyeshadow wise the UD Naked 3 palette would do the job, I absolutely love this palette so much and it's probably my most used. 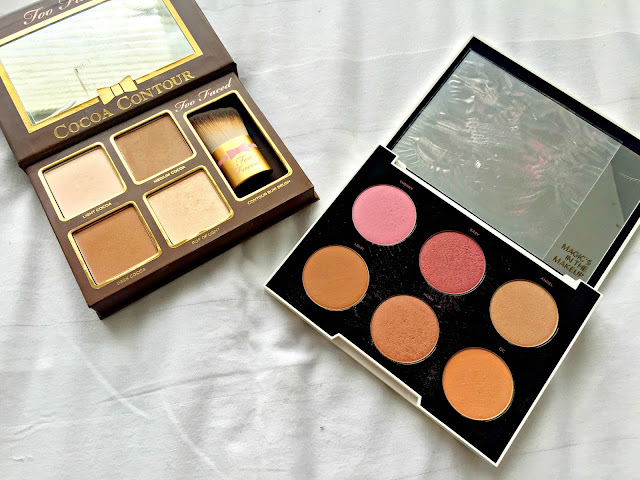 Of course I had to bring Double wear foundation since I rediscovered my love for it and it's now become my most used foundation again, choosing one blush seemed to much of a daunting process so I opted to pack my Urban Decay Blush palette from the Gwen Stefani collection and of course along with that always comes the Too Faced Contour palette. Face wise I couldn't leave without my trusty MAC Prep & Prime highlighter in Light Boost, Pro Longwear Concealer and Natural Mineralize Skinfinish. I just couldn't narrow the lipsticks down so I packed 3, Clinique Lip pop in Cherry Pop, MAC Brave red & MAC Patisserie and to be honest it's a scary idea taking just 3 but I am only away for 2 days so I should survive the ordeal. My Professional is obviously in there because I go nowhere without this, no matter what other products I'm switching about you can be sure I'm wearing this, my beloved Benefit Rollerlash and They're Real Pushup Liner of course joined the little selection. And of course there was no way I was leaving without my Elemis Pro-Collagen Cleansing Balm because nothing else is used on my skin to remove my makeup, this cleanser is my best friend. I'm also packing Clinique Moisturising gel and MAC Smolder eyeliner which I couldn't photograph as I'd left them at my mums so need actually need to go collect those in a bit. 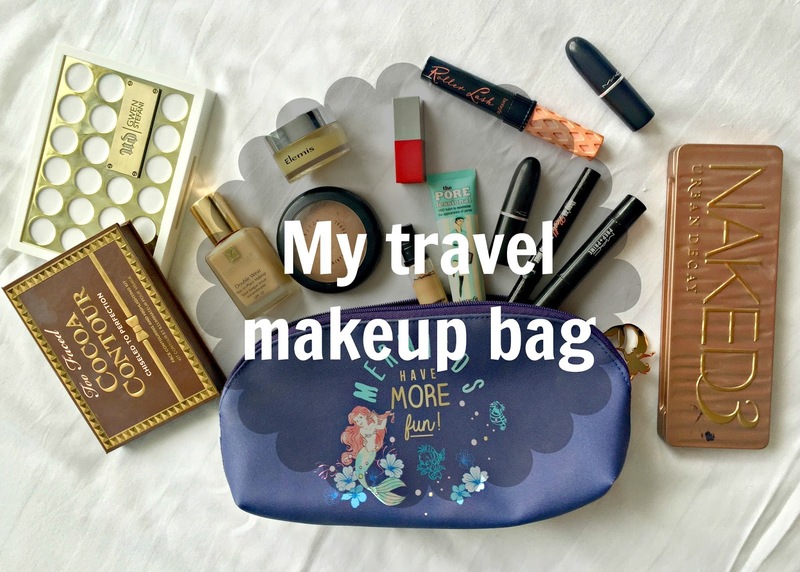 Are you good at narrowing down your makeup bag for a night/weekend away? what are some of your must bring items?